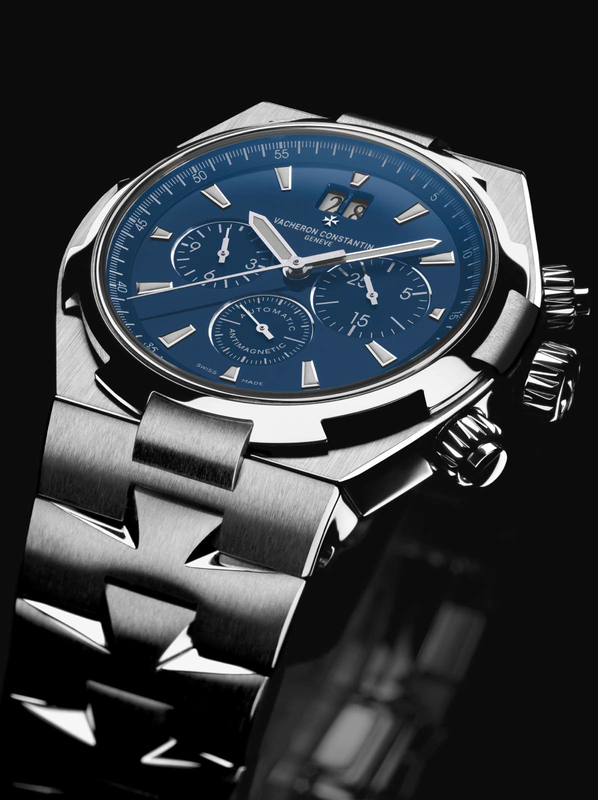 For 2012, Vacheron Constantin released a new Overseas Chronograph with a beautiful blue lacquered dial. The Overseas Chronograph comes in the same 42 mm case as before. 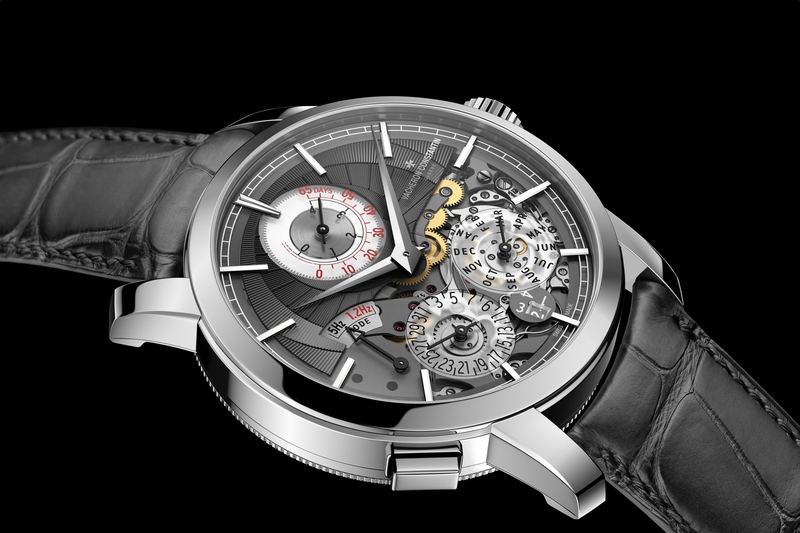 The same Vacehron Constantin caliber 1137 in-house self-winding column-wheel movement (with 37 jewels, 183 components and a frequency of 3Hz). The same stainless steel bracelet with super polished and satin-finishes, and the brand’s signature half Maltese cross links. 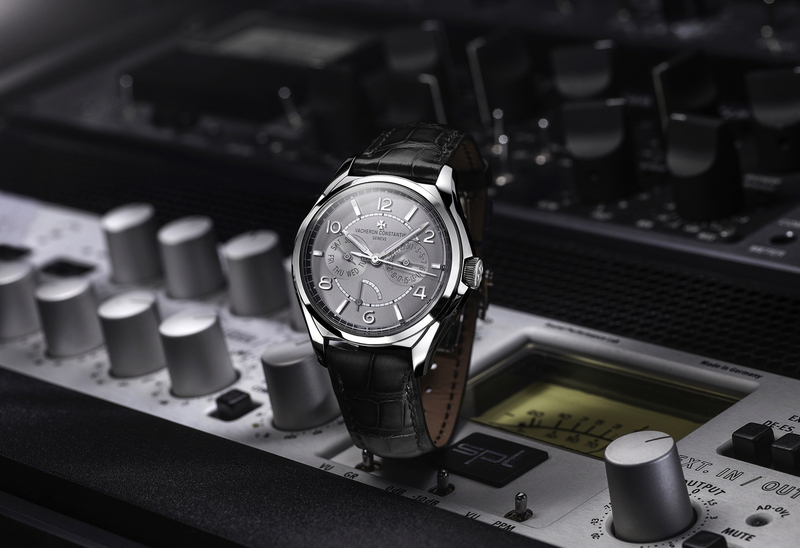 The only new detail, is the dial, and what a dial it is. Adorned with blue snailed counters with rhodiumized diamond-polished filets; hands and hour markers in 18K white gold (with luminescent material). And of course, the shiny blue lacquered dial. It is amazing how such a minute detail can make such an impact on the overall look. 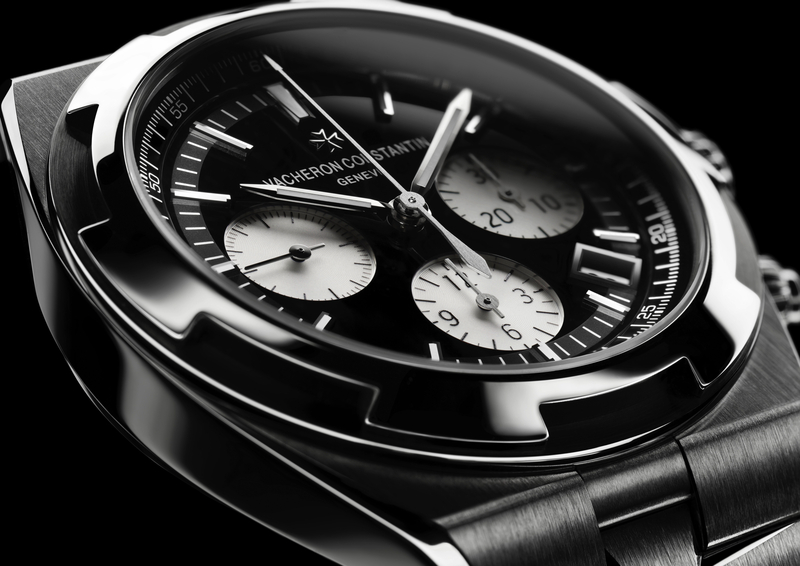 Originally launched in 1996, the Overseas is Vacheron Constantin’s sportiest watch. It features a soft iron cage protecting the mechanical movement from magnetic fields up to 25,000 A/m. The locking crown (with Maltese Cross) and locking pushers add to its sportiness, as well as helping to ensure 150 meters water-resistant. The solid screwed-down caseback, which also ensures water-resistance, is stamped with the “Overseas” medallion.